Safety who is famous for his career in the NFL. 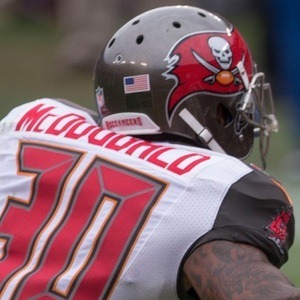 He spent his 2013-2016 seasons as the Tampa Bay Buccaneers back-up safety, and set then-career highs in interceptions in 2016. He began his college football career as a wide receiver for the University of Kansas. He switched to safety during his sophomore year. He signed with the Seattle Seahawks in 2017, and started all 16 games at safety for the squad. He signed a three-year contract extension in 2018. His parents' names are Anthony and Nikki. He replaced Kam Chancellor at safety for the Seattle Seahawks during the 2017 season in their famed Legion of Boom secondary.